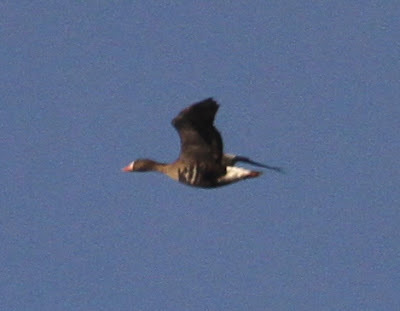 Bill Aspin's Birding Blog 3: Local patch: Greenland White-fronted Goose, Brockholes NR LWT, Lancs - 15th Jan 2012. 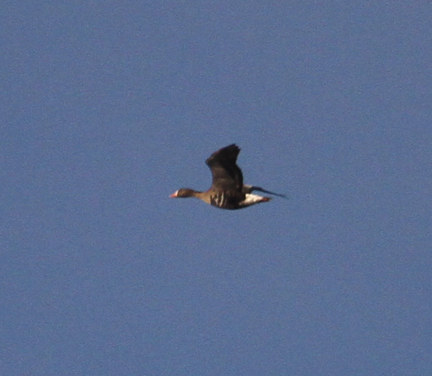 Local patch: Greenland White-fronted Goose, Brockholes NR LWT, Lancs - 15th Jan 2012. 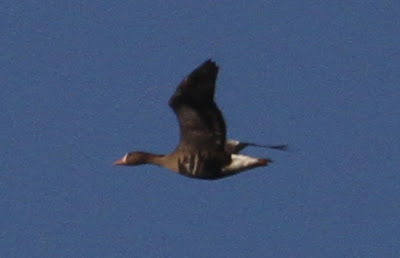 What was intended to be a brief call-in at Brockholes to check whether the much needed Egyptian Goose was present was quickly overturned when I noticed a flock of Pink-feet passing over to the north of the site within five seconds of parking the car. 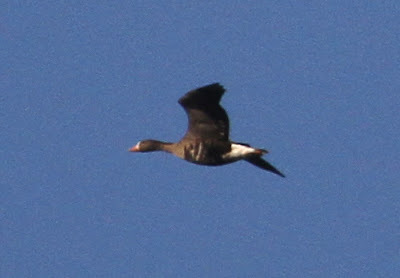 A dash to the east bank vantage point saw a good movement of Pink-feet heading west, totalling c734 in eight skeins in a 31 minute period between 10:17-10:48. 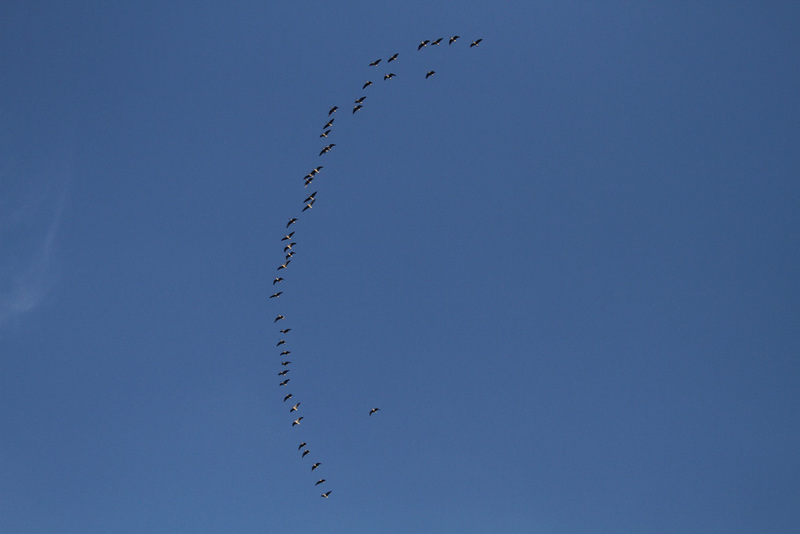 After this all Pink-foot movement stopped with no more recorded by 12:15. 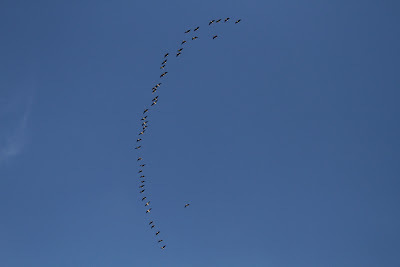 I do wonder how many more had gone over prior to my arrival. 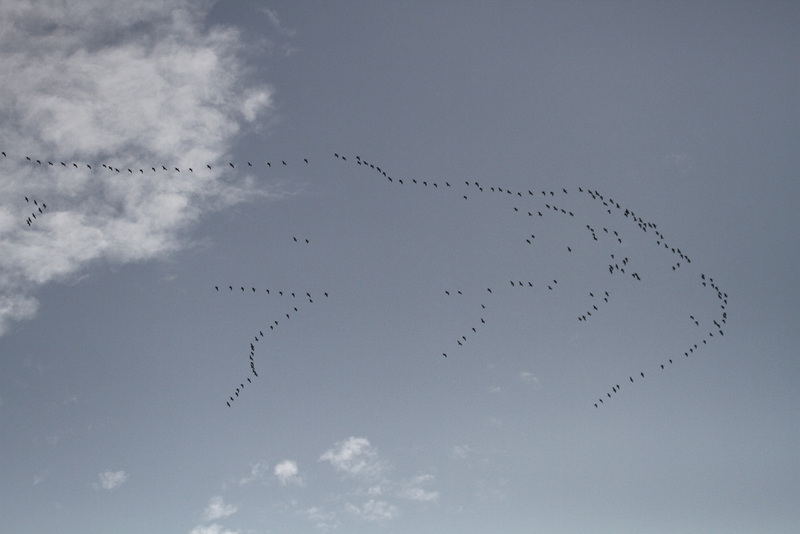 Above & below: Pink-footed Geese. Just after 11:00, Mike Watson rang, knowing I was at Brockholes, to say he had just had a White-fronted Goose fly SW down the River Ribble further upstream at Ribchester, time of sighting 11:03. 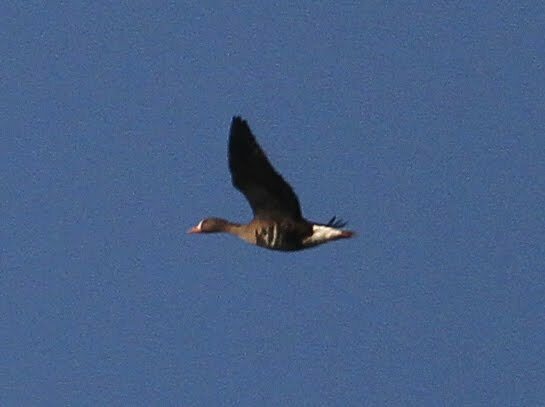 At 11:09, I picked up a single 'Grey' Goose heading SW down the valley, and scoped it to see a white blaze on the forehead and an apparently orange bill colour. The bird overflew the site to the north of my position and headed SW over No1 Pit and I rattled off some record shots with the DSLR which clearly showed the bird to be an adult GREENLAND White-fronted Goose!! - What a bonus!